There is a 311 song that goes, “If you don’t have someone to do it with, it’s not worth doing.” After my recent adventures in China, I have to now say I whole-heartedly disagree! I know a lot of people who swear by travelling alone. They say it gives you a chance to do what you want to do, choose how you want to spend your precious time, and not have to worry about whether your travel companions are bored/tired/hungry/broke. Also, it lets you meet new people and fellow travellers who are doing the exact same thing as you. There are a lot of places I have wanted to go to and haven’t simply because I had no one to go with me at the time. This time, I decided to not be so lame, and just do it. After all, I had a perfectly good China visa that I had to take advantage of. 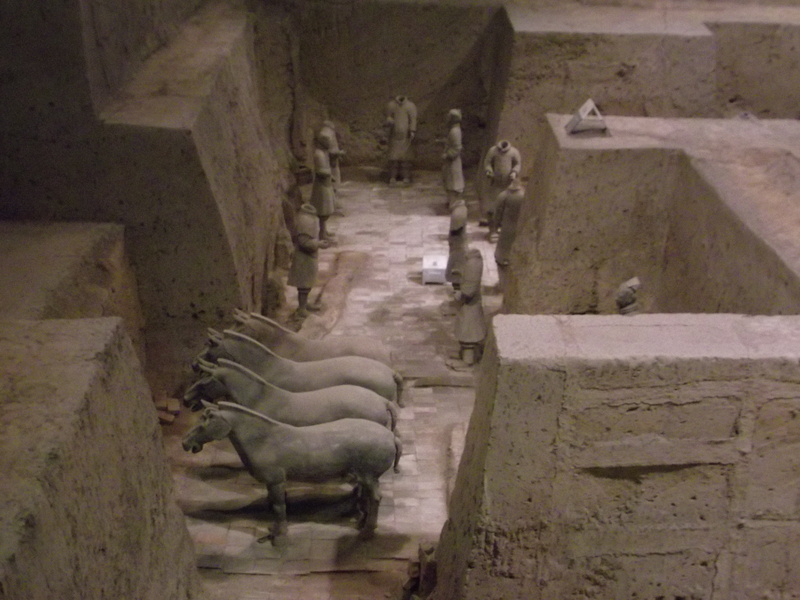 So with Laura’s prodding I chose Xi’an, one of the ancient capitals of China, home of the world famous Terracotta Warriors, and an easy 2-hour domestic flight from Nanjing. As promised, Xi’an turned out to be a very tourist-friendly place, with the majority of the attractions in walking distance of each other. Xi’an is an ancient walled city, and the walls are still intact, which means that once inside the heart of the city, everything is close by. I arrived in the early afternoon, dumped by bags at the lovely Han Tang Inn, a quaint little hostel in a central location, grabbed a freebie map, and headed out to a nearby attraction, the Muslim Quarters, an easy five minute walk away from the hostel. Getting around was easy, as they have signs well laid out in English for the tourists, and a lot of tourists there certainly were. The Muslim Quarters were just amazing. The area is so vibrant, so full of life and action. It is also about 1000 years old, which means the Muslim Quarters and its occupants have been around for a long time. Suddenly the people looked different — whiter skin, brown hair instead of black, brown eyes, deep-set eyelids. 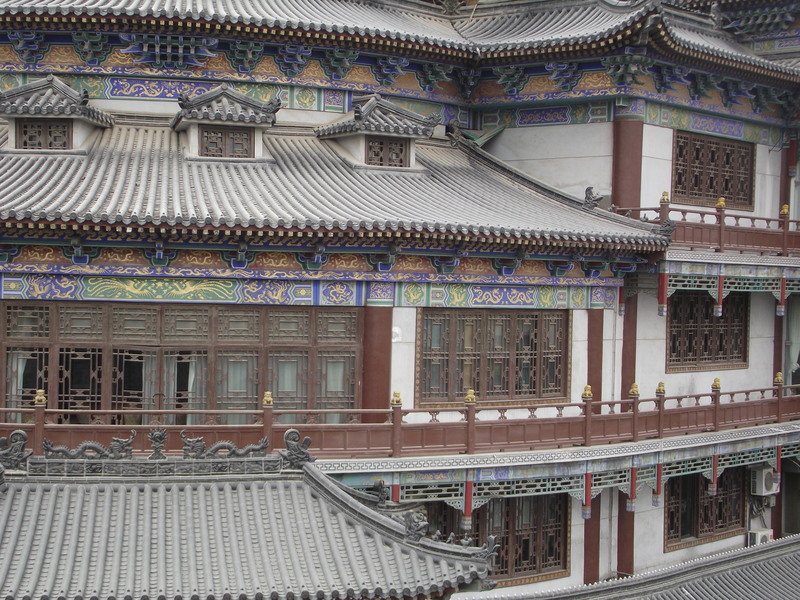 Historically, the people who settled in this community in Xi’an moved east into China through the Silk Road, and stayed for ten centuries, building up a community amongst the dominant Han Chinese. 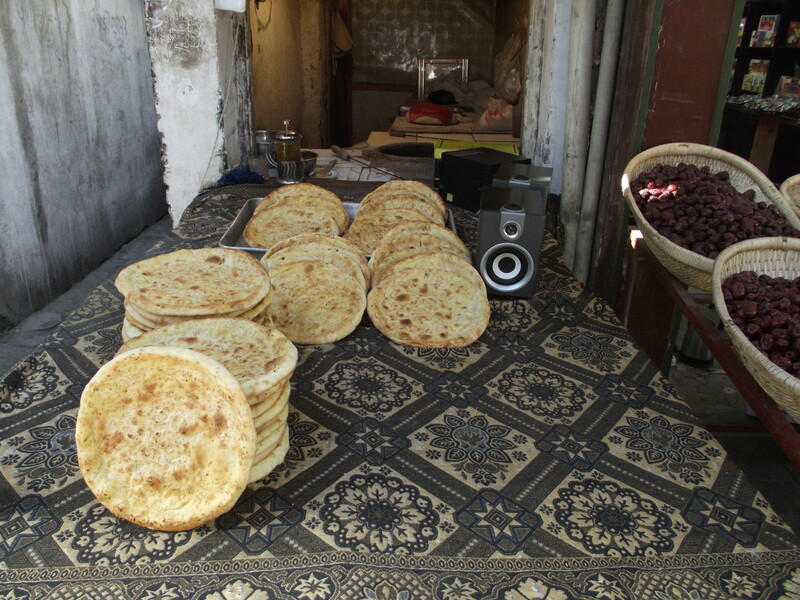 It is amazing that today, the Muslim Quarters still has a very different atmosphere and feel, serving traditional Middle Eastern styled food, though of course adapted a little bit to Chinese tastes and food availability. 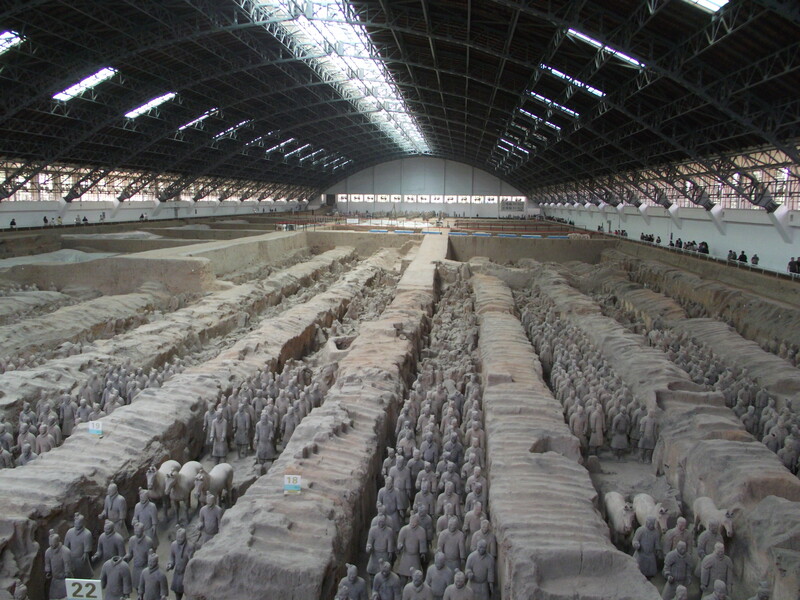 Of course, no trip to Xi’an would be complete without a tour of the famed Terracotta Warriors. The story of how this tomb came to be is quite fascinating. 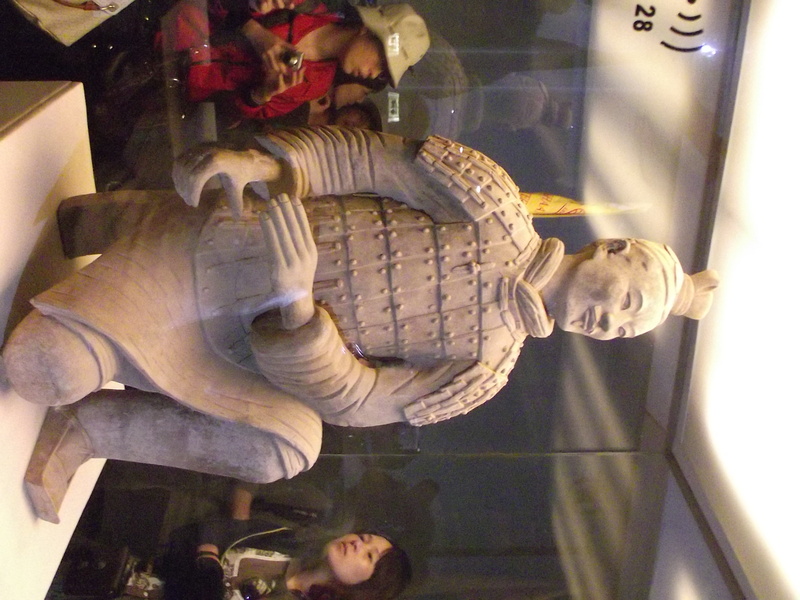 The 8,000+ statues were built for Emperor Qin Shi Huang, who became the very first Emperor of China in 246 BC. He is credited for uniting China into the vast country it is today. Emperor Qin also built the Great Wall. I have no doubt this man was absolutely mad. Anyone who builds both the Great Wall and an 8,000-strong terracotta army is definitely a bit crazy. Our tour guide told us that the Emperor also used to eat mercury, since this is what the workers used to preserve the colour of the army figurines. Like I said, absolutely mad. The Emperor also killed every single worker who was forced to work on this insane project of building a super army to accompany the Emperor into the next life safely when he passed away. They say that is the reason why every single face of the 8,000 warriors are different — the slaves who were brought in to build them built their warrior in their image as they knew that once the work was done they faced certain death. And indeed, each face is different, and the clothing is different, and the shoes are different. Shot of the third tomb, the biggest amongst three. Horses at the ready. The Warriors in the background have no heads because the bodies are hollow and the heads were added last. These have no heads because the Emperor died and work stopped on the army. After a hard day viewing the Terracotta Warriors and eating delicious Xi’an food, we returned to the hostel and I immediately ordered a few beers. There were many nice travellers around, and that’s the wonderful thing about hostels. All you have to do is sit down in the common room, order a beer, and the next thing you know five people are chatting with you about where you are from, where you’ve been, and where you are going. I was mostly amazed at how young a lot of them are. There were 19-year-olds travelling alone or with friends across Asia for two months during their Gap Year. There was a guy who had taken the Trans-Siberian Express train from Moscow to Beijing and was headed ultimately for Lhasa, Tibet. There was Greg, a very friendly British guy who seemed to have some bad luck on his travels and kept getting ripped off by unscrupulous taxi drivers and ‘art student’ scam artists. There were five young Indian guys who were medical students and on vacation, and from the looks of the shots they drank at 10 am, having a hell of a good time. Ironic that all this time I was worried about going somewhere all alone, when there are so many other people just like you doing the same thing. 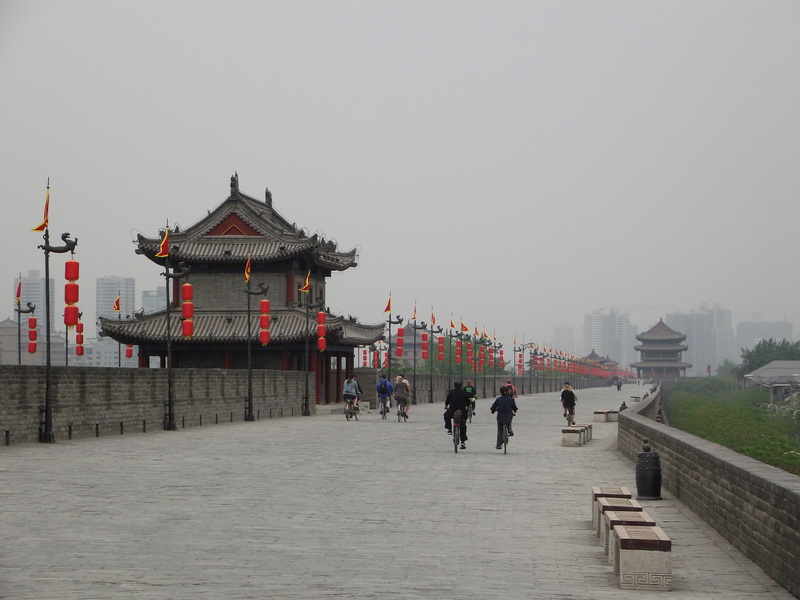 On my last day I did something which I thought was a particularly good attraction in Xi’an — biking along the city walls. Because Xi’an has an intact city wall, someone came up with the bright idea of renting out bikes to tourists. The entrance is at the South Gate of the city walls, you pay a small entrance fee, and the bicycle hire area is up on top. I ran into someone I had met at the hostel and we ended up cycling together. It took about 90 minutes, and the bike place rents the bikes out for 90 minutes, so I guess we went at a pretty average speed. A word of warning — the bikes are not in good condition and the wall is quite bumpy so the bikes take a real beating. Try a few of them before you choose your bike! So in retrospect, I wish I had started travelling ‘alone’ much sooner because it showed me that going it by yourself is not so bad at all. In fact you meet so many nice people you are never really alone, unless of course you stay in some big, cold, impersonal hotel or something and never venture outside of your room. I would definitely do this again and stay in a small hostel and enjoy being a solo member of the travelling crowd. There were no problems with transport, I didn’t get lost, I didn’t stumble somewhere unsafe and get robbed. 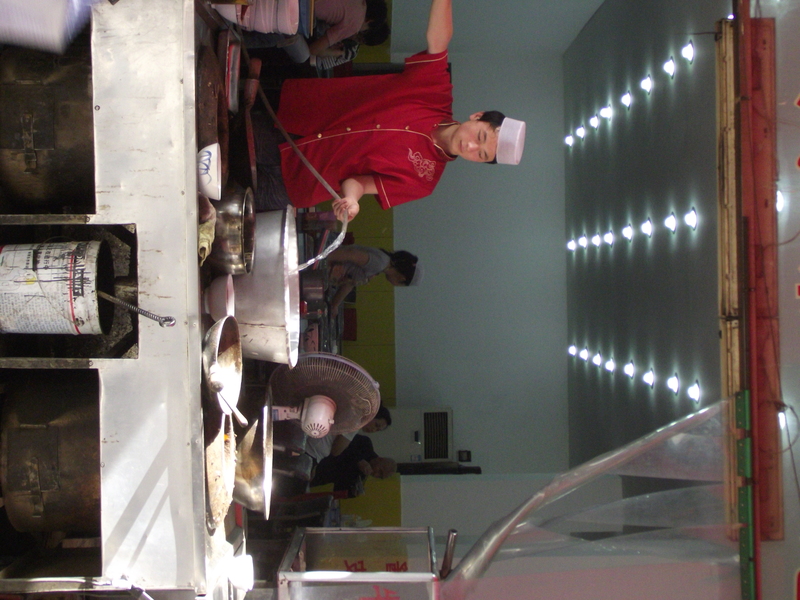 In fact, I had a wonderful time, I met really nice people and saw some amazing Xi’an attractions. This solo trip also helped build up my travel confidence, as I have no doubt that I could do this in another country. It is a wonderful feeling to know that you have broadened your horizons. And all you have to do is buy that ticket, and get on the plane…. Can only say “Wow!” What a wonderful trip you have had. I just wanted to say that your travels are amazing and I’m just fascinated by everything you had to say, great travel tips and history!